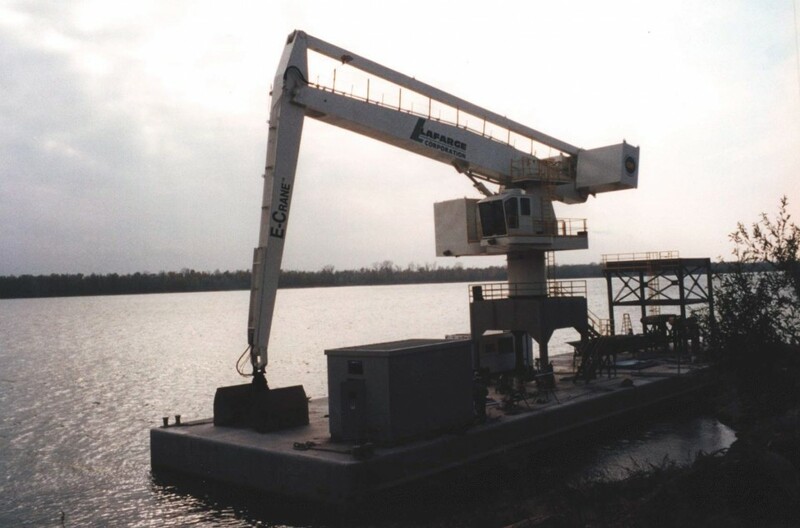 This E-Crane®, installed in the 4th quarter of 1998, was the first barge mounted E-Crane® to be sold in the United States. 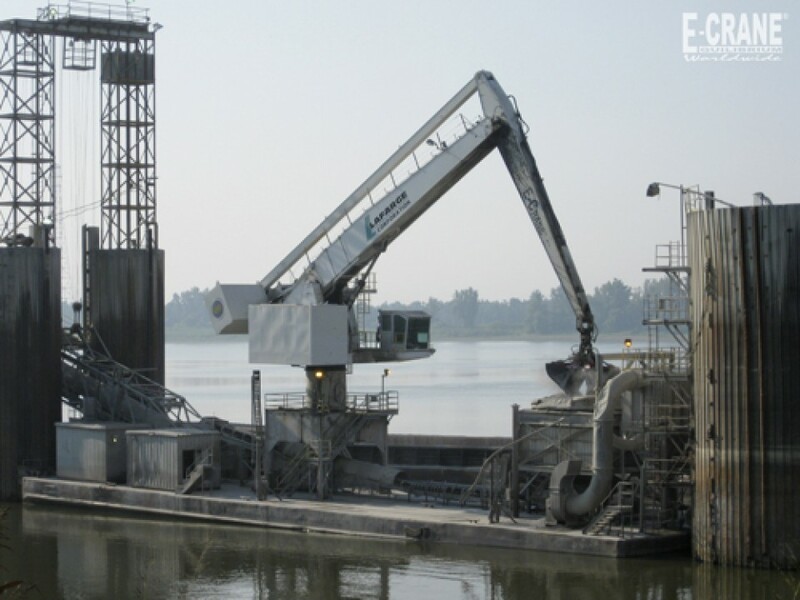 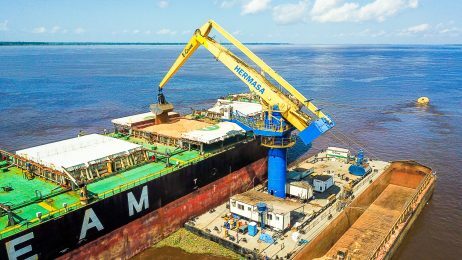 At the time it was also the largest E-Crane® working on the inland waterways and the first barge mounted crane in the world fully dedicated to bulk material handling. 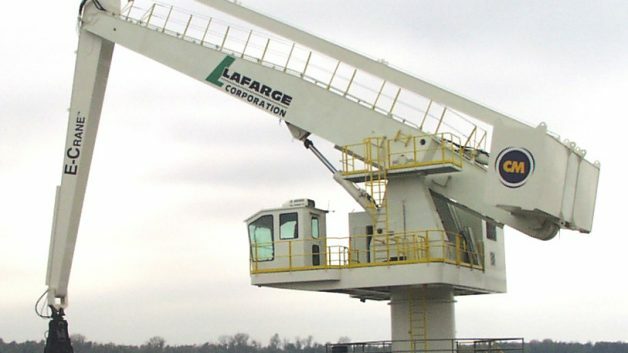 This crane was the first investment in our multimillion dollar plan to upgrade the Joppa Plant. 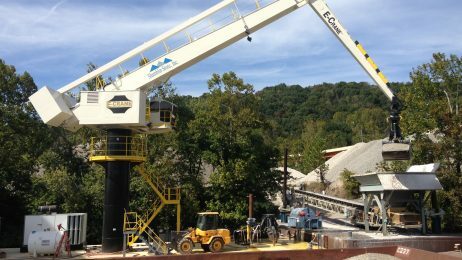 The E-Crane® is the main stepping stone to our vision of the next 20 years. 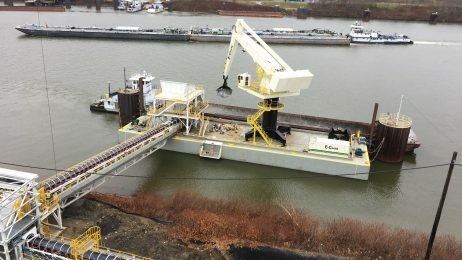 We could not do what we want to do efficiently without this crane. 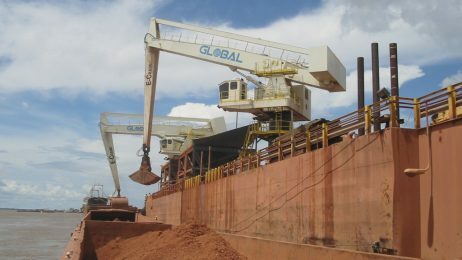 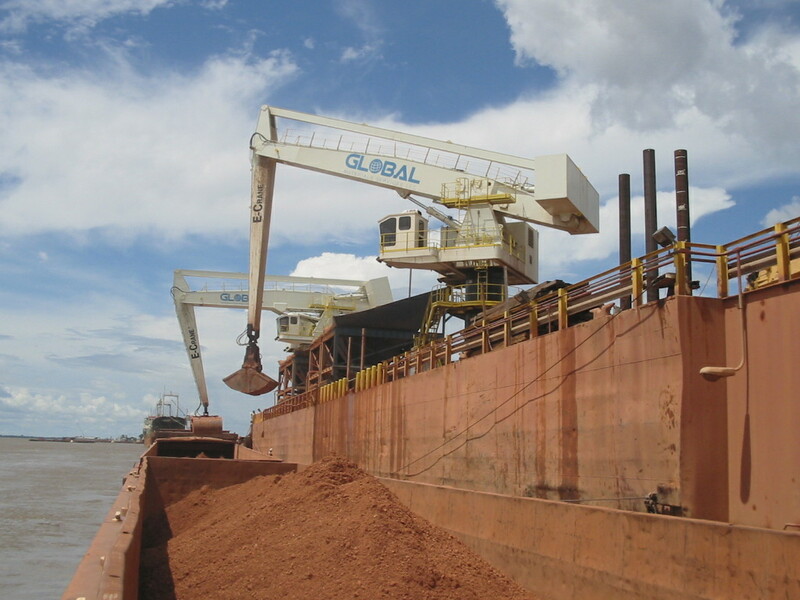 Its task of offloading limestone was previously handled with five self-unloading barges. 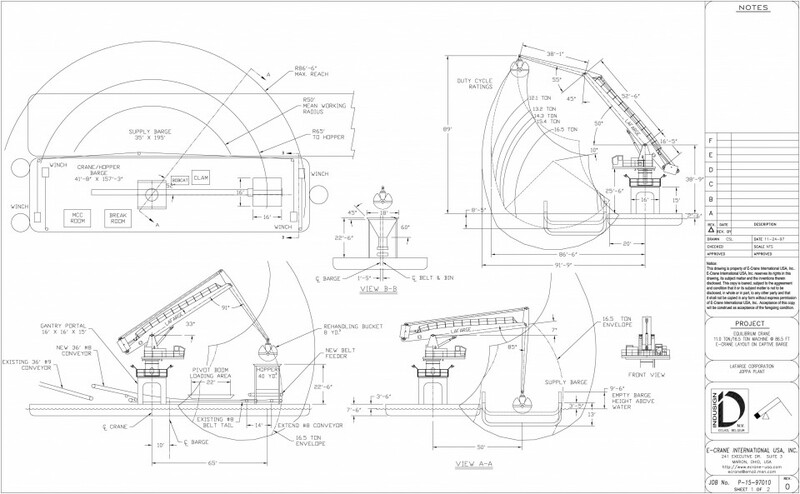 Productivity is already out-pacing the existing belt feed system. 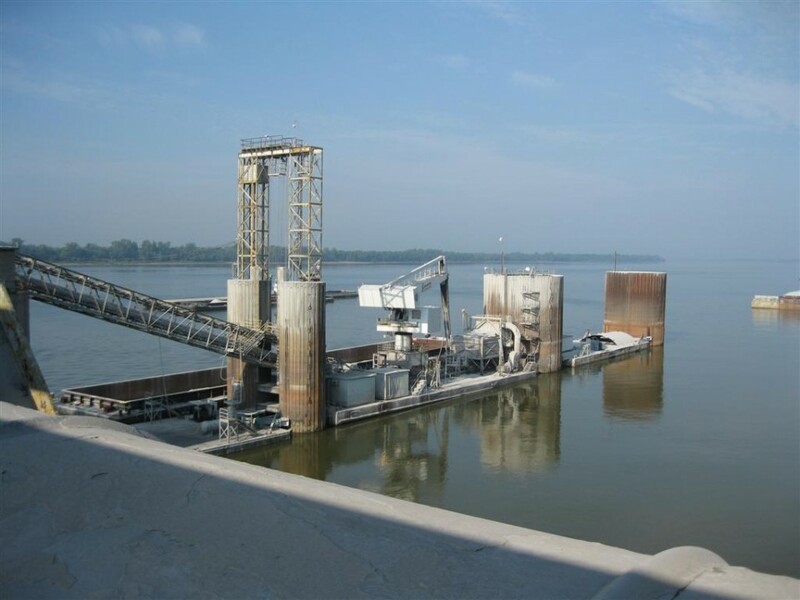 By the time phase 2 of the plan is completed none of those barges will be required and they will eliminate the need for a third shift.